Philip was an ABRSM Silver Medallist at Grade 8 Piano, before studying at Cambridge, Durham and Exeter Universities. He later won the Raymond Fennell Prize at the Royal College of Music, graduating with Distinction in Piano under Cyril Smith, Recorder with Freda Dinn and Composition with Bryan Kelly. 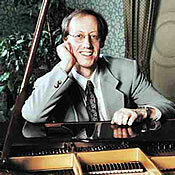 After some twenty-five years, he retired from full-time school-teaching, and has given piano recitals in the United Kingdom and abroad, as well as appeared on radio and television. In great demand as a piano teacher, Philip is the Classical Music Writer and Critic for The Herald, Plymouth's leading daily paper, and also writes programme notes and magazine reviews. 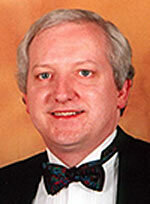 He has been an examiner and syllabus consultant for Trinity College, London. Subject to availability, he teaches all ages, from Initial grade to Diploma level, and enters students for both ABRSM and Trinity Guildhall exams, both in classical as well as jazz piano, where appropriate. His fees are in line with current EPTA / ISM guidelines. As a composer, Philip publishes extensively on the internet at SibeliusMusic, where he has his own music store, PRB Music, and with publishers in the UK, Switzerland and China. His compositions and arrangements have been played worldwide by such eminent ensembles as the City of Birmingham, and Ulster Symphony Orchestras. 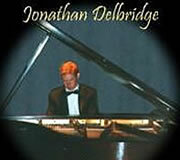 has an FRSM diploma in piano performing and an ALCM diploma in jazz piano. As a teacher he has a wide range of pupils from complete beginners to advanced standard covering all ages. Jonathan is happy to teach most styles of piano but specialises in classical and jazz. He can also teach music theory towards grade 5 and classical pipe organ. Pupils may choose to work towards exams or simply learn for fun. Tony has a wide and varied teaching experience having worked for many years as Senior Lecturer in Music at the University of Salford where he taught composition and arranging, music history and analysis as well as practical music-making to undergraduates. Tony has established a piano teaching practice which is limited to a certain number of students due to the demands of other music activities. Apart from classical piano Tony is also able to offer teaching in jazz piano and also help with GCSE, 'A' level music or tuition in composition and arranging. Tony is a member of the ISM. Tony accepts students at any age and level, children or adults from beginners to advanced ability. The lessons always take place in a friendly and supportive manner and the only essential requirements are a desire to learn, possession of a suitable instrument and a willingness to practice regularly. Tony currently charges £23 per hour and are paid in advance for a series of lessons, for example 4, 6 or 8 at a time. Half an hour is the minimum lesson duration and lessons must take place weekly.